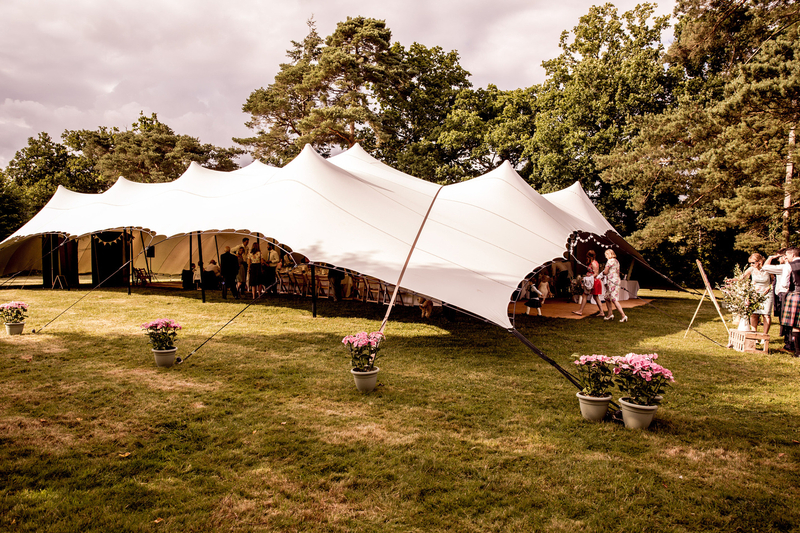 TentStyle offer a comprehensive selection of free style Stretch Tent marquees for hire and sale throughout the UK. Each set up is completely unique. We create an exclusive indoor outdoor experience by moulding our structures around the landscape. 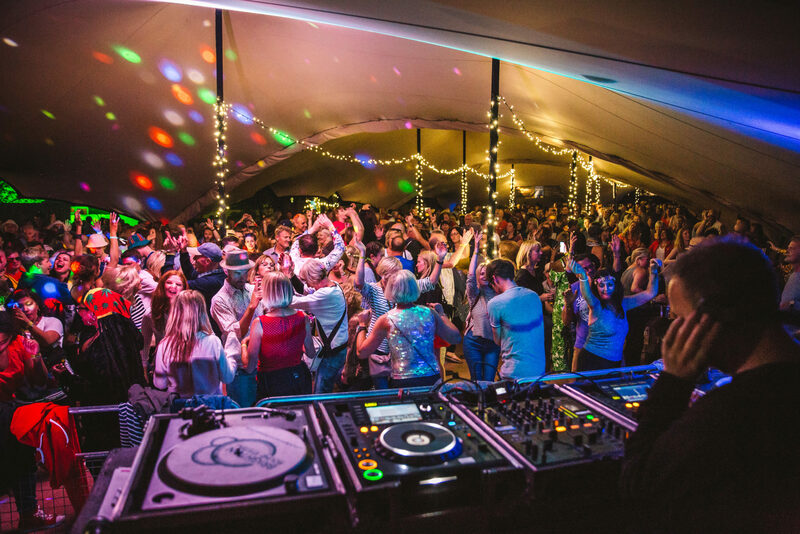 Whether you are organising a festival, getting married or simply need cover for your home or business, our stretch tents come in wide variety of styles suitable for any occasion. Please get in touch. 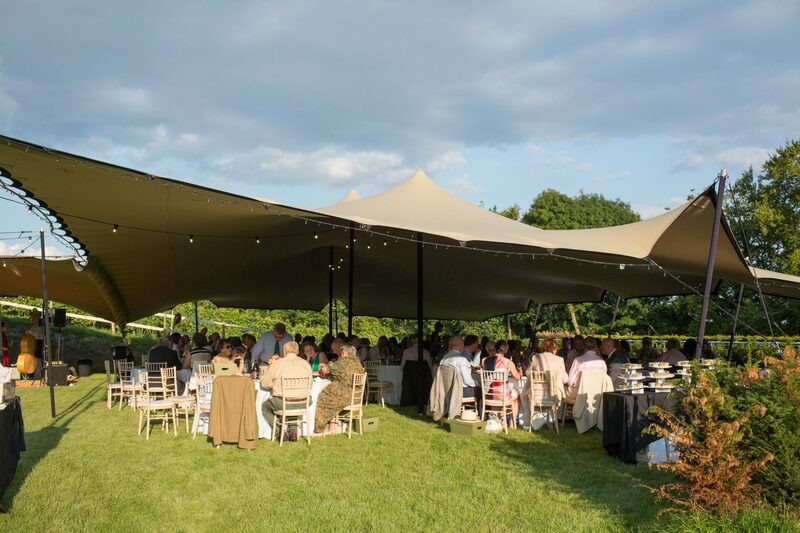 Tailored to your event or business requirements, our stretch tents are more versatile than traditional marquees and can be installed virtually anywhere. We create bespoke solutions for your event or venue to fit your style, location and size. If you are looking for a flexible & stunning covering for your space, then talk to our team today. Our tents are different, unique & modern in many ways, we can answer any questions you might have. 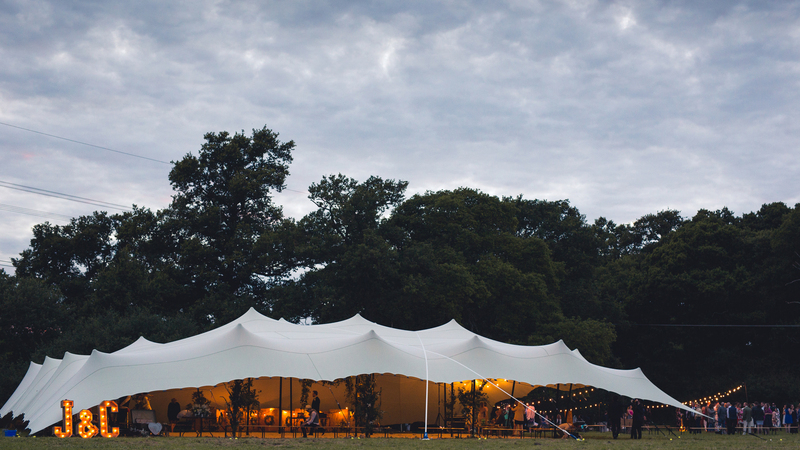 Based in West Sussex, The team at TentStyle are here to help you decide and create your perfect tent solution. Let us do the hard work, so you can enjoy your event and business venture knowing that we have your outdoor areas covered.. The TentStyle Team has grown this season with the edition of Graham our new Operations Manager and Ollie our Operations Assistant. We welcome them both at a very busy time for the company and look forward to utilising their experience as we continue to grow. We pride ourselves on service & offering our customers an unparalleled experience. Here are some reviews from recent projects we have worked on.
" Brilliant working with TentStyle. From the first enquiry, site visit and down to setup ­ efficient service, competitive rates and great communication throughout. The client was thrilled with the tent and lighting. Overall, a pleasure working with the team." 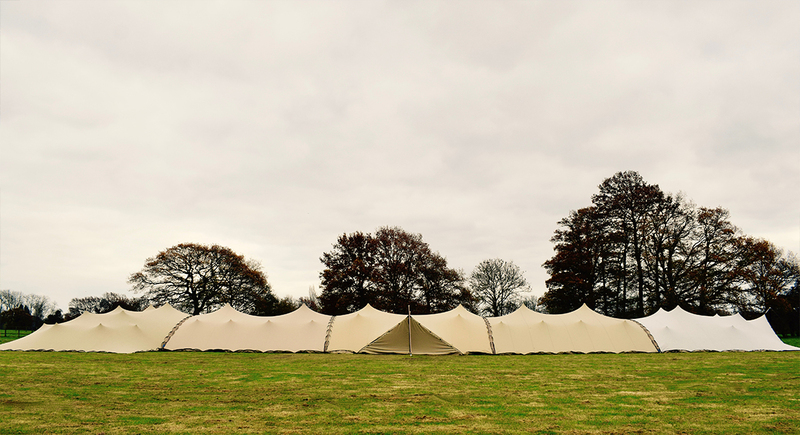 "TentStyle were really professional and detail orientated when providing a tent and accessories for our wedding. They made a pre-wedding site visit and answered all of our questions. On the day they were swift at erecting the tent with a great team of willing staff who also helped us put our furniture out. They provided extra lighting and came and cleared up on time. I'd 100% recommend them to anyone!" "My husband and I got married in July this year and for our wedding we booked two stretch tents through Tent Style - a smaller beige tent for our wedding ceremony and a larger white tent for our wedding reception. 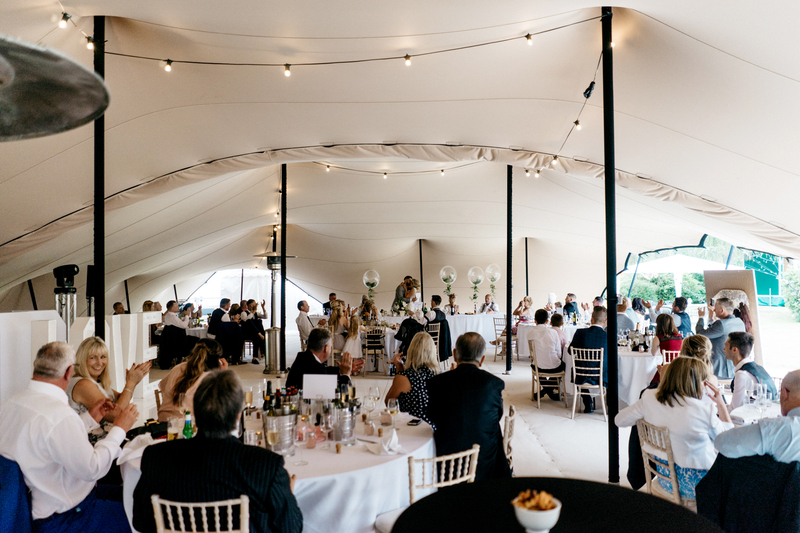 We initially chose to book a stretch tent as opposed to a more traditional type of marquee as my husband wanted to create a modern wedding feel and we thought that a stretch tent with its unique, striking appearance would help us achieve this. I can honestly say that we could not have been happier with how both tents looked - they were absolutely stunning. We received endless compliments from other wedding suppliers and wedding guests as to how incredible the tents looked and how different they were to anything they had seen before. Whilst my husband and I are both sad that our wedding is over, both of us are in agreement that it was a magical day and that a large part of this magic was created by the look and feel of the tents. We would have no hesitation in recommending both stretch tents and Tent Style. Nick and Nicki guided us through the booking process seamlessly and were extremely helpful, patient and professional throughout all of the organisation and installation." 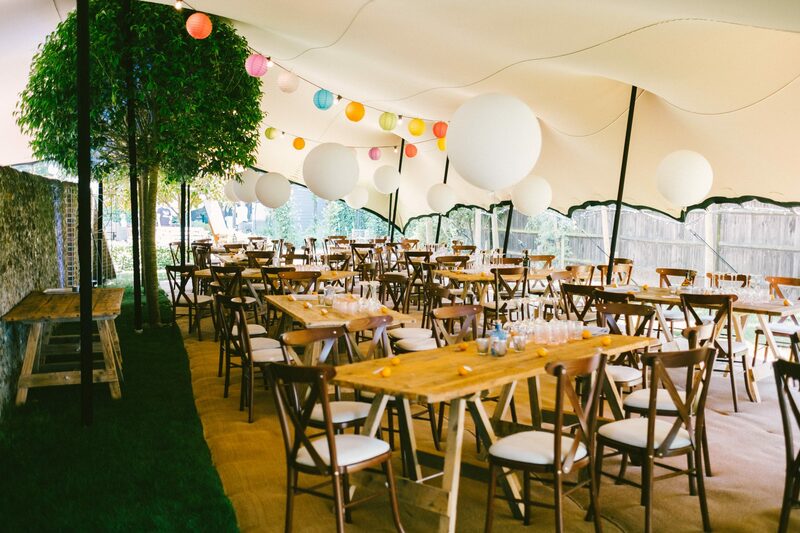 "We want to say a huge Thank You to the whole TentStyle team for everything they did for providing the perfect setting for our wedding events. The service provided by Nick and Nicki throughout from our initial consultation to the delivery of our ideas was incredible. Having a Big Fat Indian Wedding in our Garden meant we had many unusual hurdles to face along the journey that the team were more than happy to fulfil. The team onsite were very professional and the final set up was simply stunning and comfortably surpassed what we had ever dreamed of. 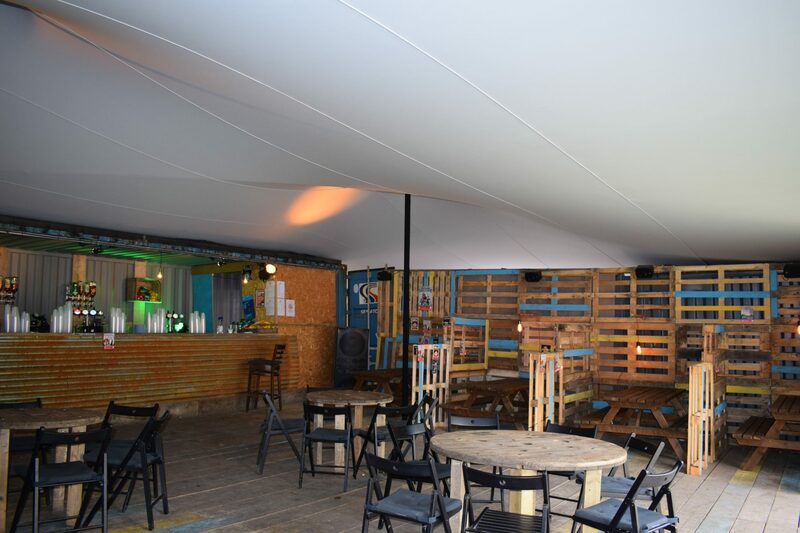 The combination of lighting against the stretch canopy that TentStyle provided created a visually beautiful effect. We loved the reaction of our family and friends as they entered the tent and 3 months on we're still receiving compliments! Thanks Pooja & Dipesh"
"The TentStyle Team’ were fantastic from the very first phone call with Nicki to the removal the day after the wedding. The customer service was amazing, such a kind and genuine group of people that helped with all queries with such a great attitude. The guys put the tent up in a few hours without any assistance needed from us which was great. The finished product was absolutely amazing, such high quality, so beautiful and more than what I had imagined. On the day we had so many comments about the tent and how striking it was, so much more interesting than a standard marquee. The tent was removed the next day, again with no help needed from us, and they left no proof that there was tent there. 100% satisfied with everything - thank you so much for helping make the venue I imagined as perfect as it was. I will definitely be using tent style for any future parties. "